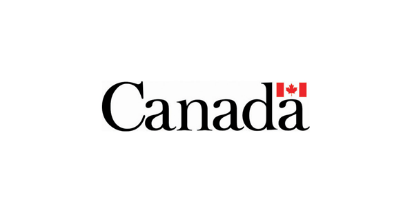 Implementation of the Safe Food for Canadians Regulations will begin on January 1, 2019. As with the introduction of any new regulatory regime, there will be a period of adjustment. Don’t miss this opportunity to find out how your food safety plans measure up. Agriculture and Agri-Food Canada and Alberta Agriculture and Forestry have organized a workshop to provide those involved in the Natural Health Products industry with a better understanding of Good Manufacturing Practices (GMP). If you influence decisions that meet the Health Canada regulations within your natural health products business you will want to attend. Anyone involved in quality control, quality assurance, compliance, product development, production, packaging, warehousing and shipping. If you hold or are working towards a NHP site or product license, including manufacturers or co-packers, labellers and importers, distributors and storage sites in the natural health products or bioprocessing sectors, complying with GMPs is a regulatory requirement under the NHP Regulations and a post marketing continuous activity for NHP Canada. Learn what it takes to develop and implement a GMP system and how to build an ongoing quality assurance program. Assess your readiness to undertake GMPs and identify gaps for your company. Participate in discussions; group and individual activities; plan for your next steps and hear about resources available to move forward with GMPs. Adrian Rodriguez, Regulatory Manager & Senior Consultant with NHP Consulting Inc., will deliver this training. Adrian will briefly cover the ‘what’ and the ‘why’ for implementing good manufacturing practices (GMP). He will review what is involved in the overall process breaking it down into specifics for implementation and end with preparing for an inspection or audit. Attend this open house at Food Central Cowork and meet the service providers in the industry that can help you meet your business goals. Have questions about commercial kitchens, labeling, packaging, business skills, financing, mentors and marketing? Stop by, talk to service providers and meet other entrepreneurs! Do you ever go out to dinner at a new restaurant and see people around you snapping picture of their food before eating? What are they doing, and what's the point? In this session, I will go over what it means to be a social media influencer in Alberta's food scene, and why you want them taking pictures of your food! Jacquie DuVal is a strategic communications professional from Edmonton, Alberta. Her experience includes several years working in corporate communications settings for various organizations before she decided to branch out on her own with Plated Public Relations. Strategic communications planning, social media management, content creation and media relations are where her talents lie. As a graduate from Grant MacEwan University’s Public Relations Diploma Program, Jacquie is a qualified and enthusiastic public relations professional with a passion for her industry. Jacquie loves to explore Edmonton's local food scene and cook delicious and healthy meals for her family. She is a loving and dedicated mother to her daughters Anna and Eveline. Please note that this is a Bring Your Own Lunch event. But we do have coffee/tea/water. Join us at Food Central for lunch hour presentations, workshops and networking! Topics will range from trends, online sales, marketing and self-care! Plus many more. Our topics are reflections of what entrepreneurs in the community are looking for. Sessions that involve making something, like a tea or bath bomb will have a price associated with them. Payment is made at the session in cash. April 30th: Dr. Briana Lutz will be hosting a session on Stress Management and if you bring $5 cash, you can make a calming tea at the end. We know that managing life, career, a new business and everything else that happens inbetween can be exhausting and stressful. April 30th begins our self care series utlizing tools and natural remedies to help balance your body and mind. *Please note that this is a Bring Your Own Lunch Event"
What's the Deal with Insect Protein? April 19th: Claudio & Silvia from Camola Sustainable Bakery will let us know what makes insect protein so darn sustainable and the tasty opportunities insects have in a Western market. Does insect protein peak your interest? If so, then this is the session for you. Do you have products you'd like to be professionally photographed for you social media accounts and website? We're holding a mini photo session with a professional photographer! Bring your products and props and receive 5 edited images for your use. Non-Members: $140 (become a member within a week after the session and use the $40 towards an annual membership). To register contact Cassandra to schedule a session on April 7. The Business Mentorship Program is wrapping up for cohort #2. Mentors and mentees will network, share experiences and celebrate their amazing journey through mentorship. We can't wait for Cohort 3 to get underway! Looking to learn if Food Central Cowork is right for you? Want to see what the facility is like, what programming is available and how AFC can help you build your business?